The traditional umbrella has been around for a while now. The core concept generally still does what it needs to do. There are some downsides attached to using a common umbrella though. You can poke out one’s eye, it’s easily ruined in the wind and your hands are not freed up to do anything useful, like, you know, play with your phone or something. 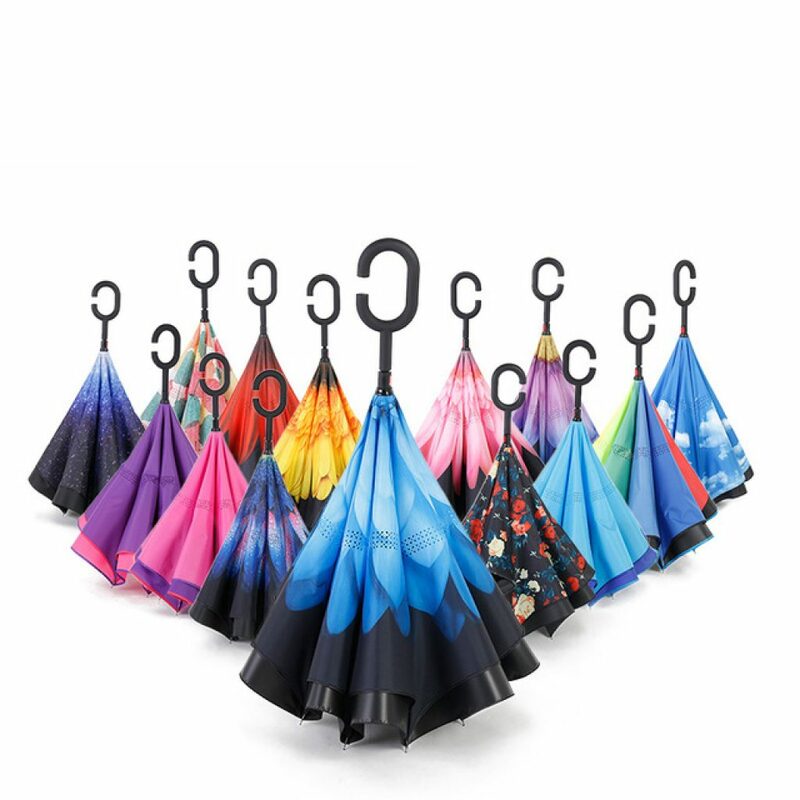 Luckily, we’ve gone and selected the best, most useful and boldest umbrellas that only real men and women would dare take on the streets to protect them from the rain. You know what the problem is with regular old umbrellas? The bottom half of my body still tends to get wet using one. Let’s have a body-sized condom run down from my umbrella to cover the rest of my body as well. Unfortunately we haven’t found a model like this online yet, we’ll let you know as soon as we do! 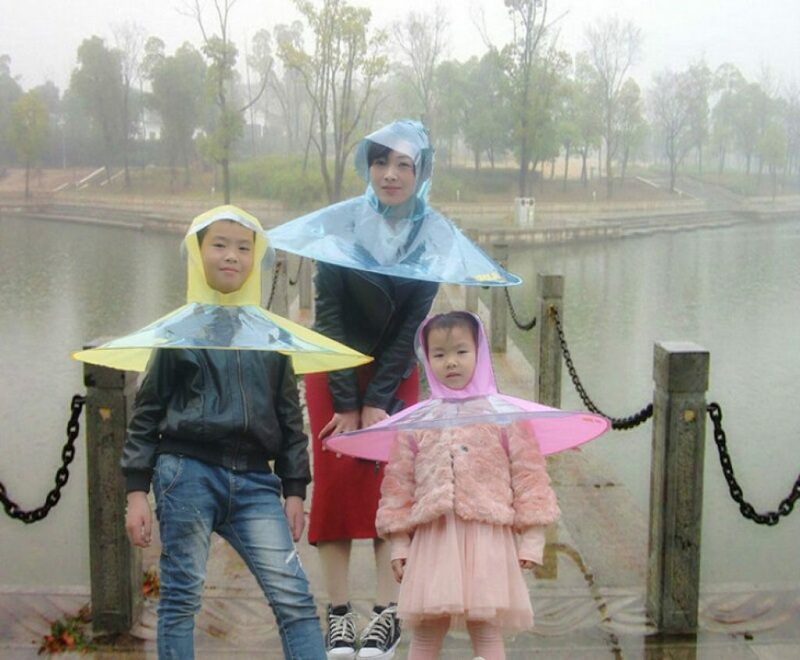 At 3 we’ll all go out and wear this raincoat umbrella, okay? Even though it might look ridiculous at first sight, this is actually a cool idea to keep your hands free and your body free of sweat when it’s raining. It probably won’t help with the dreaded side rain, but not bad! This one’s especially adorable on kids! Ok, you’ll probably never use this in real life, but it’s cool to just have this geeky Blade Runner style umbrella. Take it apart and it doubles as a lightsaber (kinda). 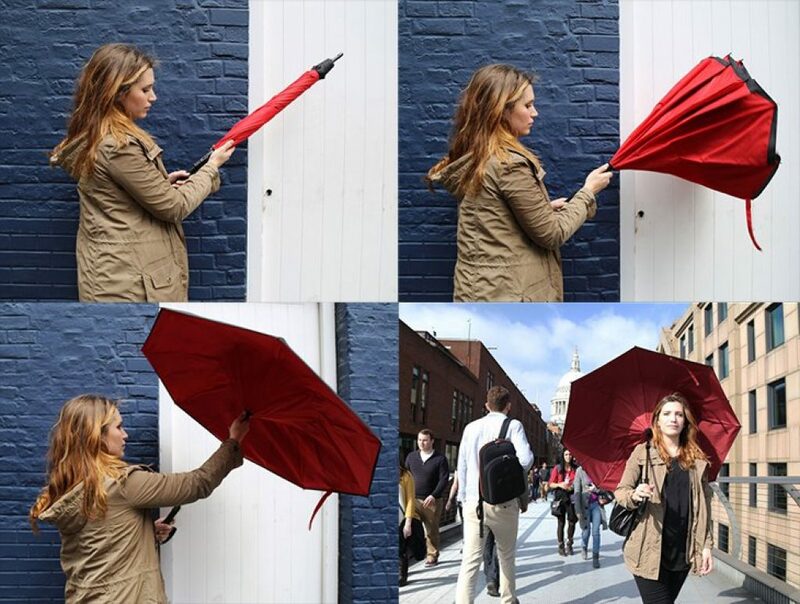 The original Unbrella is a really neat unorthodox design that comes with its advantages. These umbrellas can withstand heavy wind much better and you can have it stand straight if you want to. 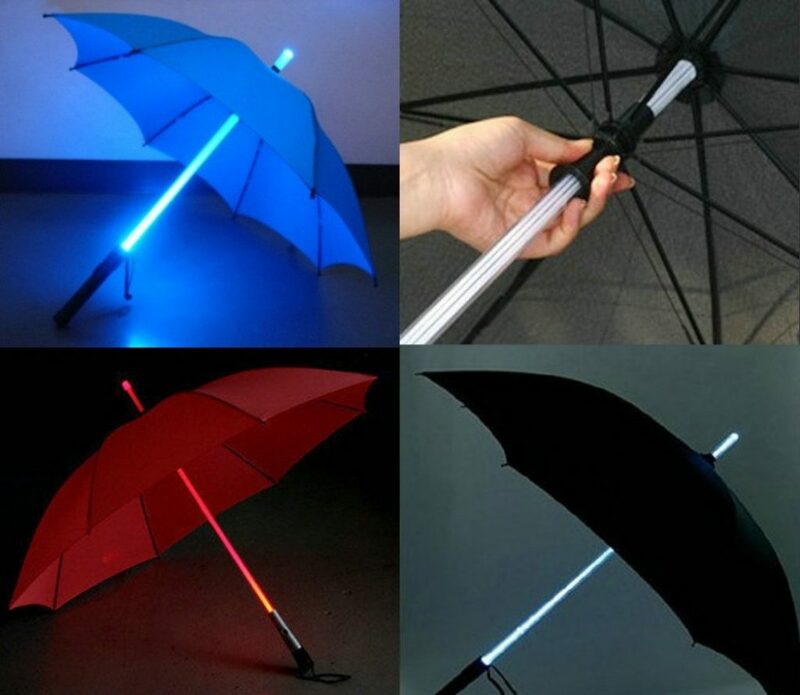 The Unbrella is not the only reverse umbrella available, there are cheaper alternatives.